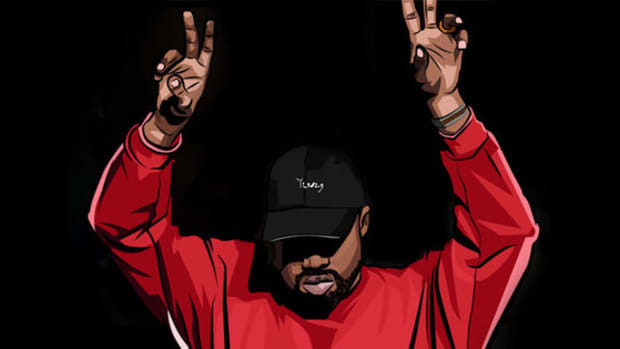 For all his creative energy, inconceivable self-confidence and damn near flawless catalog that has continuously timestamped culture, perhaps Kanye West’s strongest suit lies in picking collaborations. 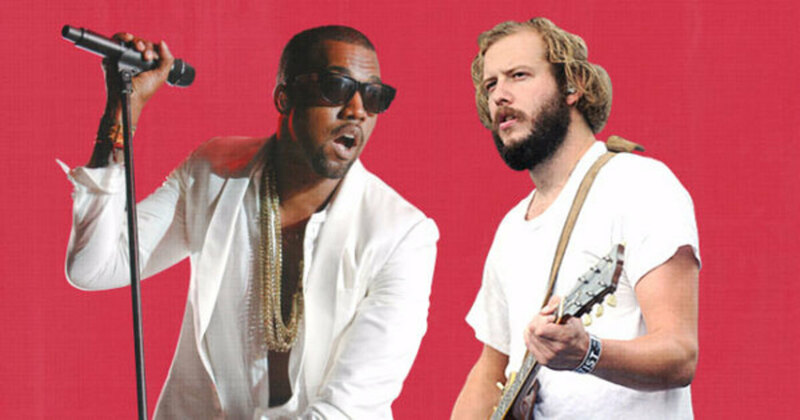 Although he broke our hearts and changed the game alongside Kid Cudi and made us watch the throne that he and his “big brother" Jay Z occupied, to me, Kanye’s most fascinating collaborative relationship is with Justin Vernon, the falsetto-voiced frontman of indie folk band Bon Iver. 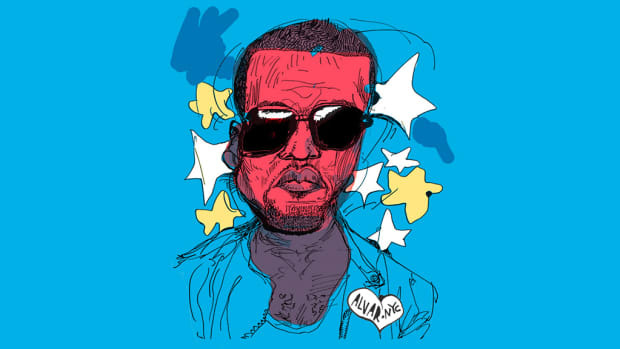 Like most people, all it took was one song for Kanye to fall in love with Vernon: “Woods,” a tender, Auto-Tuned ballad off Bon Iver’s 2009 Blood Bank EP which Pedro Winter, boss of Ed Banger Records (home to French electronic acts like Justice and Cassius), played for Kanye. 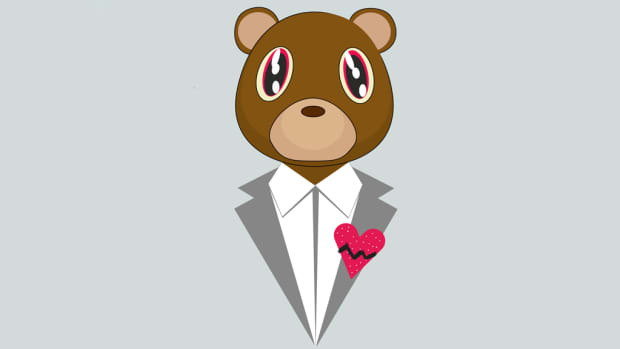 Interested in sampling the song for his then-upcoming fifth album, Ye called up Vernon in early 2010 to invite him out to Hawaii, where he was recording what would become My Beautiful Dark Twisted Fantasy. “We ended up talking for a half hour about music and how we were fans of each other and &apos;Avatar.&apos; It was a really pleasant, easy-going conversation between two people that are pretty psyched about music. 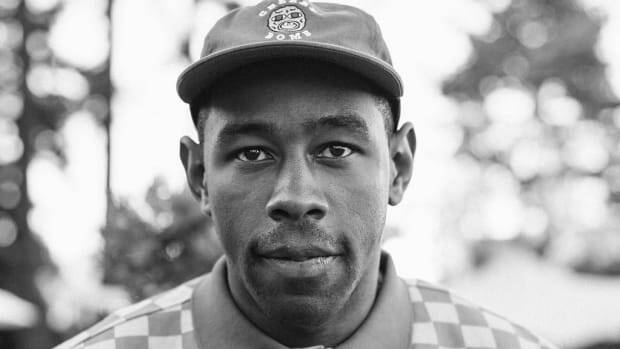 During three week-long stints out in Hawaii, Vernon laid down his soothing, Auto-Tune-soaked vocals on “at least 10 songs,” with three making the album: “Dark Fantasy,” “Monster” and, most notably, “Lost in the World,” which, for the first minute, leans on the sparse beauty of Bon Iver’s “Woods” before bursting into life with Kanye’s trademark animal vocal samples. “I’m up in the woods, I’m down on my mind,” Vernon harmonizes, with Kanye’s slightly altered lyrics (“I’m lost in the world, been down my whole life”) stacked directly on top. What would usually be jarring to the ear instead soothes the heart, especially considering the wider context. If “Woods”—made during Vernon’s near-mythical escape to his father’s hunting cabin, where Bon Iver’s breakthrough album For Emma, Forever Ago was born—captured Vernon’s sorrow following a breakup with both his girlfriend and band, it’s easy to see why the song resonated so deeply with Kanye, who had been doing his own soul-searching away from the spotlight after breaking up with his fiancée, losing his mother and, of course, the infamous Taylor Swift MTV VMAs incident. “I think he liked that I had a similar emotional approach to music,” Vernon toldRolling Stone. Since those magical studio sessions out in Hawaii, Kanye West and Justin Vernon&apos;s budding bromance has slowly blossomed. In 2013, Kanye called up Justin once more to work on his sixth solo album, Yeezus. As Kanye changed course from the musical, maximalist brilliance of My Beautiful Dark Twisted Fantasy, so too did Vernon, whose voice ranged from Barry Gibb falsetto ("I&apos;m In It") to sad robot stuck in a swamp of its own drunken sorrow ("Hold My Liquor"). Two years later, Kanye finally visited Vernon at his April Base studio in Wisconsin (Kanye originally planned to work there in 2010 before a snowstorm cancelled his flight), where he rounded up “a very interesting collective of folks” including Kendrick Lamar, A$AP Rocky, Common, Mike Dean, Rhymefest, Che Pope and Arcade Fire frontman Win Butler. Months later, Kanye brought out Vernon (aka “the baddest white boy on the planet”) during his headlining slot at Glastonbury festival, because that’s what you do when you’re a Bon Iver stan. Although Kanye announced that he and Justin “did some more joints together” during that Glastonbury performance, we’ve only heard one official collaboration between the two since Yeezus: last year’s “Friends” by Francis and the Lights, which only qualifies thanks to Kanye’s one-line contribution (“we could be friends!”) halfway through the song. 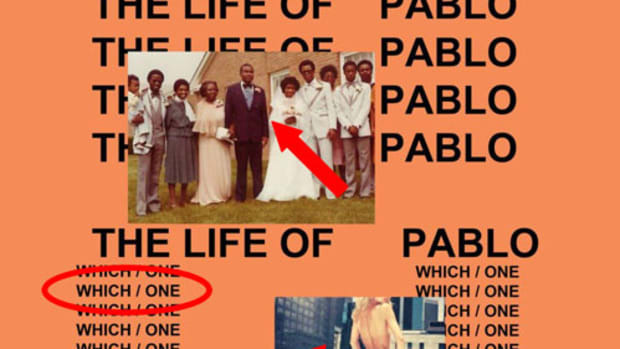 There was also “Fall Out of Heaven,” a leaked demo from The Life of Pablo. But for whatever reason, we haven’t really had anything new to add to the Kanye West x Justin Vernon playlist lately. 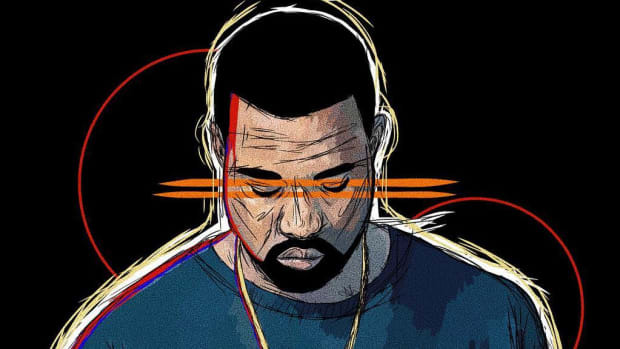 Despite their lack of musical output, Kanye West and Justin Vernon continue to inspire each other—sometimes even save each other. If Kanye’s words helped Justin rediscover his mojo, the Bon Iver singer relayed that very same message to his fans on 22, A Million—specifically the album’s gorgeous intro “22 (OVER S∞∞N),” which contains the simple yet profound refrain “it might be over soon.” “The bad stuff might be over soon, but maybe the good stuff might be over soon,” Vernon explained. “So you’d better figure out how to enjoy this life and participate in it.” Ask yourself: What would Yeezus do? Kanye West and Justin Vernon may be unlikely collaborators, and even more unlikely friends—one is a hip-hop icon who is married to a Kardashian and notorious for his ego, the other is a small town folk singer who hates the spotlight and is perhaps guilty of being too modest—but they have more in common than meets the eye. Of course, both men are pioneers who are completely obsessed with Auto-Tune, but the most striking parallel between the pair is their process: find solace in a remote location, pour your heart into an album, and turn that tragedy into beautiful, breathtaking music. 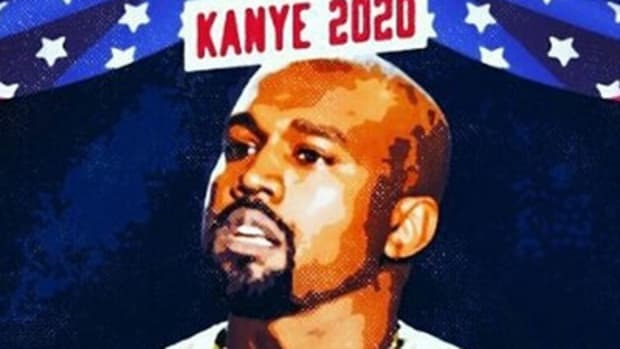 Kanye holing himself up in the mountains of Wyoming to work on his forthcoming album—the only thing that will rid the memory of last year’s tour and Trump controversies—has all the makings of another Kanye West comeback story à la Hawaii 2010, especially if Justin Vernon is involved. After all, who&apos;s better at making masterpieces in the middle of nowhere?